As promised, the Academy Board of Governors voted—again— to put through changes intended to diversify the voting body. They’re adding three new members, who unlike the other 51 governors, are not elected by the individual branches. Director Reginald Hudlin, who co-produced this year’s Oscars, writer Gregory Nava (“Frida”) and animator Jennifer Yuh Nelson (“Kung Fu Panda 2”) were confirmed by the current Board members for three-year terms, effective immediately. Six members were also added to board oversight committees. Actor Gael García Bernal (“Y Tu Mama Tambien”) will join the Awards and Events Committee, chaired by First Vice President Jeffrey Kurland. Cinematographer Amy Vincent (“Hustle & Flow”) is on the Preservation and History Committee, chaired by Vice President John Bailey. 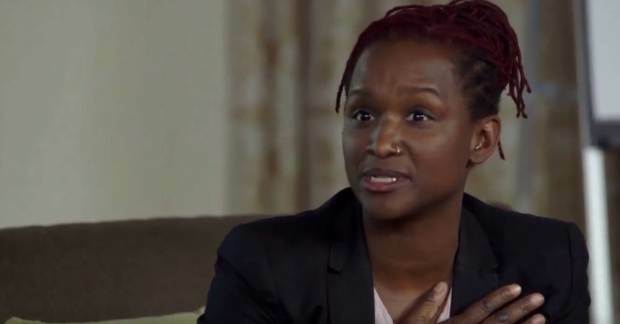 Producer Effie Brown (“Project Greenlight”) joins the Museum Committee, chaired by Vice President Kathleen Kennedy. Executives Marcus Hu (Strand Releasing) and animator Floyd Norman (“Monsters Inc.”) join the Education and Outreach Committee, chaired by Vice President Bill Kroyer. Executive Vanessa Morrison (Fox Animation Studios) joins the Finance Committee, chaired by Treasurer Jim Gianopulos. Producer (“Beyond the Lights”) and Los Angeles Film Festival director Stephanie Allain joins the Membership and Administration Committee, chaired by Secretary Phil Robinson. As for the thorny question of how to assess a member’s voting rights, the Board reaffirmed its January 21 resolution to make sure Academy voters are active in the motion picture industry. As Boone Isaacs had suggested to me, the Board agreed to let each branch’s executive committee determine specific criteria for active voters based on the guidelines established in January. 1. Those who have worked in the motion picture industry in the last 10 years. 2. Those who have worked anytime during three 10-year periods whether consecutive or not— one thing the branches will decide is whether to measure those 30 years as before or after they joined the Academy, as the rules were first defined. 3. Members who have won or been nominated for an Oscar®. Starting this spring, branch executive committees will meet every two years to review their members and determine any potential reclassifications. The committees also will adopt an appeals process for members who may lose their voting privileges. This gives a lot of power over who votes to the branch executive committee, who can be as tough or lenient as they choose in interpreting the rather vague guidelines. The Academy wants to make changes, and they have been aggressively inviting a younger, more diverse membership ever since CEO Dawn Hudson and president Cheryl Boone Isaacs have been in charge. They know the problem. They want to move the needle, but it has been going slowly. So now with this year’s new member invites they will dramatically step up the pace.